It should be accompanied by a short resume. You are required to submit your documents to [email protected]. Any queries may be directed to the managing editor of the NYIL, Monika Ambrus at [email protected]. Final papers to be submitted after the applicants are notified about the same. The final papers should be around 8,000 words. Abstract submission: August 15, 2013. Successful applicants will be notified by late August. Final paper submission: March 31, 2014. Rule of law and temporariness: how is the international rule of law affected by the existence and creation of temporary legal subjects. State hood state responsibility and temporariness: How is the concept of statehood and state responsibility influenced by temporariness both theoretically and in practice. International institutional law and temporariness: How does temporariness influence institutional law. ICTY and ICTR and international (criminal) law: How are the advance planning, closure or referrals made, how do they affect international law. Fight against terrorism and/or state of emergency and international (human rights) law: How does this temporary phenomenon affect international law in terms of law-making implementation/interpretation on the short and long term. Climate change and international law: what is the effect of climate change as a temporary and changing phenomenon on general international law and on specific fields of international law (e.g. 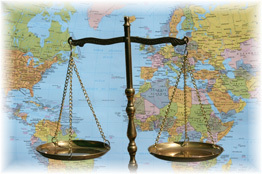 human rights, criminal law, trade law, environmental law). Belligerent groups and temporariness in international law: What happens to laws that are adopted – possibly illegally – by an occupant, how it affects international law.